Summer 2018- Work continues on the rehabilitation of two Schuylkill Avenue viaducts over Interstate 76, on the Chestnut Street viaduct between 31st and 30th streets, and on two Chestnut Street stone arch bridges on the east side of the river, along with repairs to two ramps and to a long retaining wall on Chestnut Street between 31st and 30th streets. 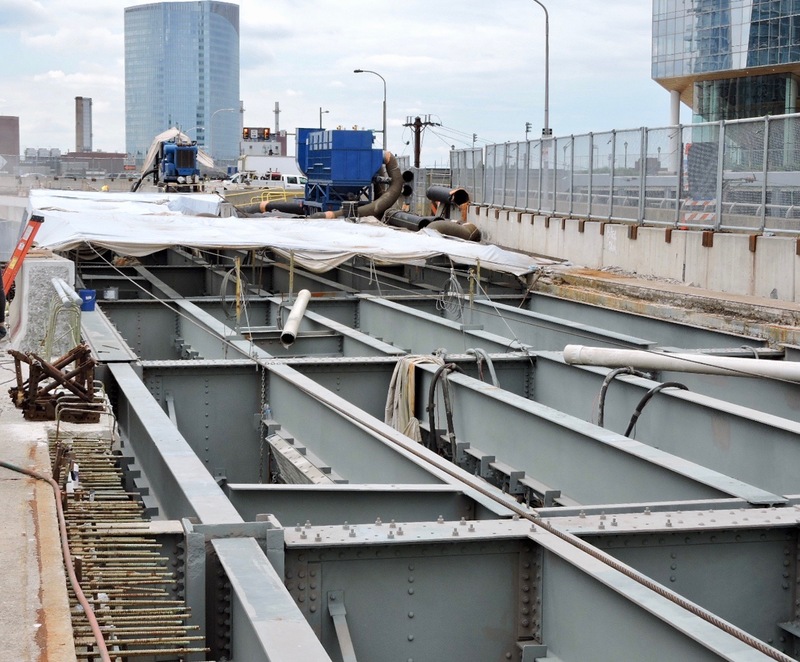 The work is part of PennDOT’s $103.6 million project to rehabilitate the Chestnut Street Bridge over the Schuylkill River and seven adjacent or nearby structures. Construction began in August 2017 and is scheduled to be finished in late 2020. 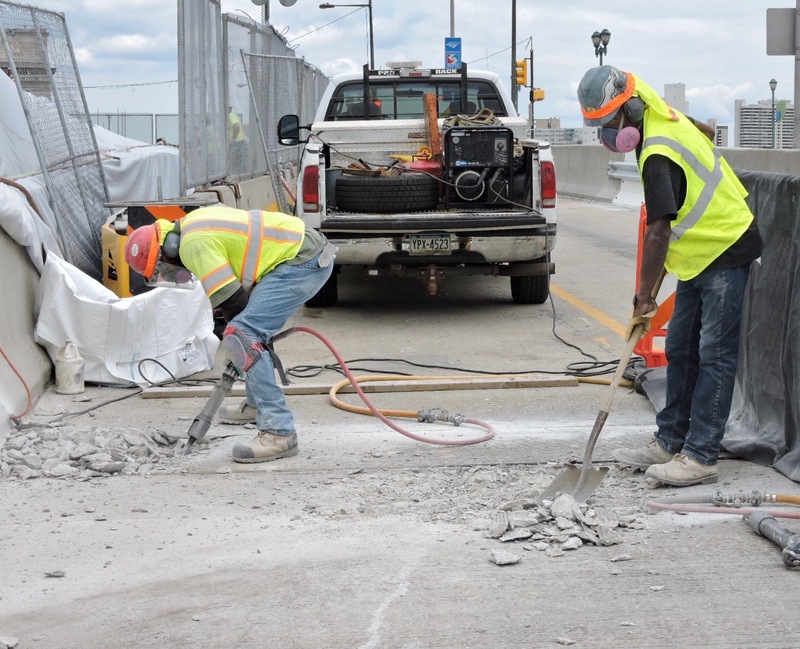 Crews continue cleaning, repairing and repainting the steel superstructure on the east side of the Schuylkill Avenue viaduct over I-76 between Walnut and Chestnut streets, and on the west side of the viaduct between Market and Chestnut streets. Concrete deck placement that started in late June on the refurbished east side and will progress through the summer to include concrete deck placement on the refurbished west side of the structure. Once work on the two sections of the Schuylkill Avenue viaduct finishes in late summer, traffic will be shifted onto the new bridge decks and repairs will get underway on the opposite sides of the viaducts. Occasional nighttime lane closures will continue to be in place on I-76 during some of the viaduct repairs. Repairs also are underway on the ramps from westbound I-76 to 30th Street and from Walnut Street to eastbound I-76. Workers there are repairing the ramp structure’s expansion dams, which prevent excess cracking of the concrete deck during weather-related expansion and contraction of the ramp’s steel components. The ramp from westbound I-76 to 30th Street is closed through mid-September for repair and resurfacing. A new concrete retaining wall is nearing completion along the north side of Chestnut Street between 31st and 30th streets. Rehabilitation of the north side of the viaduct beneath this section of Chestnut Street also continues. 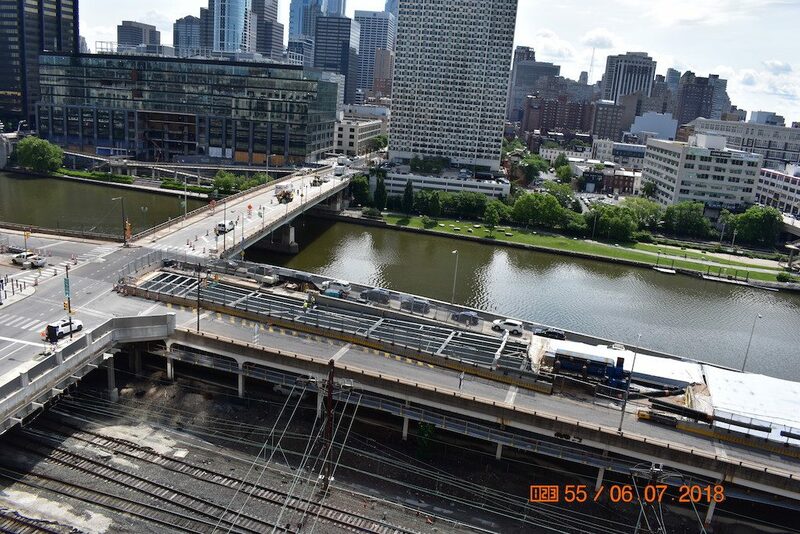 On the east side of the Schuylkill River, Chestnut Street has been reduced to one lane as crews expand repair operations on the south side of the stone arch Chestnut Street bridges over 24th Street and the adjacent CSX Railroad. The sidewalk on the south side of Chestnut Street, closed during construction, has been demolished and will be replaced. 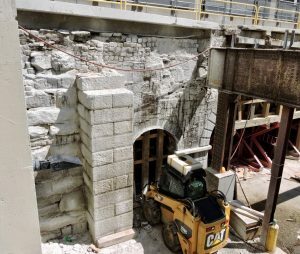 24th Street is closed to vehicles and pedestrians beneath Chestnut Street for the duration of work on the stone arch. Work will get underway this summer on repairs to the sea wall on the west side of the Schuylkill River between Walnut and Market streets. Additional Stage 1A and Stage 1B work will continue through late-2018. Go here for details.